With such a diverse history, Pennsylvania train rides offer everything imaginable. The state features one of the most prolific collection of railroad attractions throughout the country; one can enjoy fine dining on the Tioga Central Railroad, walk among exquisitely preserved rolling stock at the Railroad Museum of Pennsylvania Railroad, or take a trip back in time to the 19th century aboard the Strasburg Railroad. Pennsylvania also boasts a vast collection of operational steam locomotives at such places as Steamtown in Scranton and the New Hope & Ivyland Railroad in New Hope. Finally, you can catch trolley rides at the Pennsylvania Trolley Museum, Electric City Trolley Museum, and the Rockhill Trolley Museum. Please note! This guide information covers Pennsylvania train rides related to vacation/tourism destinations-only. If you are interested in long-distance rail travel please visit Amtrak's website, our nation's passenger rail carrier. Pennsylvania's rail history dates back to the Baltimore & Ohio's chartering (America's first common-carrier). In 1827 the tiny Mauch Chunk Switchback Gravity Railroad was built to haul coal from a mine near Mauch Chunk (Jim Thorpe). According to an in-depth article Trains Magazine published in its January, 2007 issue entitled, "Great Railroading: State-By-State," this operation is also believed to be America's first tourist railroad. After coal movements ceased in 1872, the Central Railroad of New Jersey (CNJ) acquired the railroad in 1874 and subsequently leased it to brothers Theodore and H. L. Mumford who converted the line into a tourist attraction. It proved quite popular and carried on under this arrangement for more than a half-century. On May 24, 1929 the CNJ sold the property where it became the stand-alone Mauch Chunk Switchback Railway Company. Alas, this enterprise proved short-lived; a victim of the Great Depression, it closed in 1932. For Pennsylvania, its involvement with modern railroads began with the construction of a canal (officially known as the Pennsylvania Canal) on February 25, 1826 to connect Harrisburg with Pittsburgh. A few years later plans were finalized for an extension to Philadelphia. In an interesting design, engineers came up with an interlinking railroad/canal system, collectively known as the Main Line of Public Works. While successful, officials quickly realized an all-rail route was the most efficient. It could operate at greater speeds and in all types of weather. Fearful their port of Philadelphia would fall behind rivals New York, Charleston, and Baltimore, they decided on just such an arrangement and, according to Mike Schafer and Brian Solomon's book, "Pennsylvania Railroad," chartered the Pennsylvania Railroad in 1846. The PRR became the most powerful and successful railroad in America, carrying an impeccable credit rating and unimaginable cash reserves. By the early 20th century it operated more than 10,000 route miles, track mileage totaling 28,000, and served 11 states. It confidently (and arrogantly) proclaimed itself, "The Standard Railroad Of The World." But the PRR was not Pennsylvania's only railroad. Several other widely recognized names also served it some fashion including the Baltimore & Ohio, New York Central, Lehigh Valley, Central Railroad of New Jersey, Reading Railroad, Lehigh & New England, Erie Railroad, and Delaware, Lackawanna & Western. Pennsylvania's importance to the industry even transcended railroads; the country's largest (and nearly oldest) steam locomotive manufacturer was located in Eddystone (Baldwin Locomotive Works), General Electric's plant in Erie has produced locomotives since the early 20th century, and the J. G. Brill Company out-shopped streetcar and interurban equipment at its Philadelphia facility from 1869 until 1954 (then under the name, ACF-Brill Motors Company). Finally, don't miss the Keystone State's numerous engineering landmarks; Tunkhannock Viaduct (Nicholson), Starrucca Viaduct (Lanesboro), remains of the Kinzua Viaduct (McKean County), Horseshoe Curve (near Altoona), and the 48-arch Rockville Bridge spanning the Susquehanna River. In his book, "The Routledge Historical Atlas Of The American Railroads," historian John F. Stover points out Pennsylvania's rail mileage peaked at 11,551 in 1920, ranking 3rd among all 50 states. Unfortunately, for many reasons, ranging from market loss to government regulation, a staggering 55.5% of this rail infrastructure has since been abandoned (6,421 miles). The Association of American Railroads notes that today, just 5,130 miles remain in service. Finally, if you are interested in Pennsylvania train rides pertaining to specific events, such as "The Polar Express," Halloween, Thomas the Tank Engine excursions, or fall foliage events please visit the main tourist trains section of this website. The Allegheny Portage Railroad National Historic Site is located in Gallitzin, Pennsylvania, highlighting the first railroad built through the Allegheny Mountains in central Pennsylvania. This organization tells the history of railroading in Bellefonte and Centre County, Pennsylvania. They are housed inside the restored Bald Eagle Valley/Pennsylvania Railroad's brick depot, which originally opened on February 11, 1889. The organization also hosts several public excursions throughout the year using a collection of equipment on-hand. To learn more please visit their website. The Catawissa Railroad Company, located in Catawissa, is actually a collection of restored cabooses painted in their original company colors, some of which can be rented for overnight stays. Also be sure to see the town's preserved Catawissa Railroad (a component of the Reading Railroad) depot. This museum, a non-profit organization operated by the Fayette County Cultural Trust, is located in the once-busy railroad town of Connellsville. Their overall mission is to preserve the history of Fayette County's World War II soldiers and veterans, and the sacrifices they made during that conflict. In addition, they also feature a very nice model train layout known as the Great Indian Creek Valley Railroad, designed and built by Harry Clark. If you're hungry be sure and stop by their cafe for either breakfast or lunch. To learn more, plan a visit, and see all of their displays please visit their website. As mentioned above, while the state's involvement with railroads, even in their most rudimentary form, can be traced back to the 1820's, it was the Pennsylvania Railroad's (PRR) opening of its main line from Harrisburg to Pittsburgh in late 1852 that truly brought Pennsylvania into the modern age. The PRR would eventually grow into a Goliath system as the most powerful railroad in the country with more than 10,000 miles stretching from New York to Chicago with its trackage was heavily concentrated in its home state. In January, 2007 Trains Magazine published a nearly cover-to-cover piece on all the 50 states' histories with railroads. It was entitled "Great Railroading: State-By-State." There was considerable coverage given to Pennsylvania, which spoke about its far-reaching operations from magnificent steam locomotives grinding up Horseshoe Curve to small 3-foot, narrow-gauge systems. The state was also home to substantial streetcar and interurban operations. As a whole, train rides in PA do a fine job of highlighting the memory of these transportation companies. In few other states can you ride behind, or peruse, rail equipment which includes steam locomotives, diesels, and trolleys. 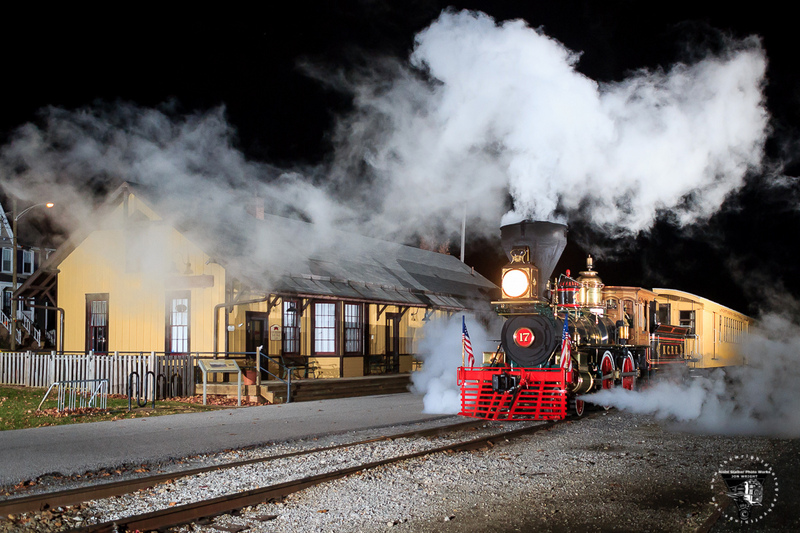 No other attraction provides quite the level of authenticity as the Strasburg Railroad. It features a fine collection of preserved steam locomotives which take passengers on a 4.5-mile journey through beautiful Lancaster County. Trips are enjoyed within restored, wooden cars which range from simple coach class to a full-service dining experience. The charm is only furthered by Pennsylvania's popular Amish Country setting. If you're after more than just a train, however, consider visiting one of the premier museums in the country right nearby, the Railroad Museum of Pennsylvania just outside of Lancaster. There is also the Steamtown National Historic in Scranton which maintains an impressive collection of steam locomotives. 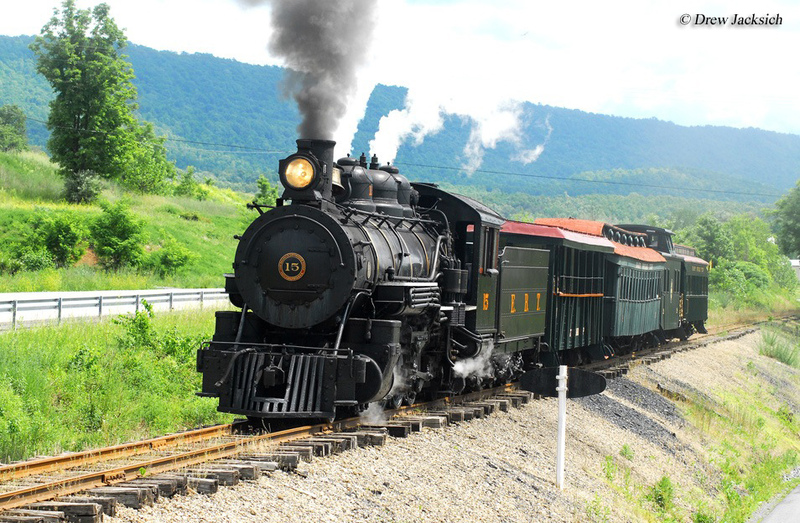 In all, train rides in PA offer a little of everything and definitely are worth considering! Located in Boyertown in Lancaster County this attraction is very near the Strasburg Railroad. It features a 1,700-foot train layout display for visitors to enjoy. This is certainly worth a visit if you are planning a trip to ride the Strasburg! A relatively new tourist attraction, the Colebrookdale Railroad, also known as the Secret Valley Line, began hosting trips in 2014, operating 8.6 miles between Boyertown and Pottstown. The trackage was originally built by a company carrying the same name, later operated by the Reading Railroad. For more information please visit their website. The East Broad Top Railroad, chartered in 1856, was built as a coal hauler, via a line that connected Mt. Union with Woodvale. After freight operations ended it became a tourist attraction for decades, blossoming into one of Pennsylvania's most popular and successful train rides. Alas, these trips were discontinued in 2011. The railroad is currently out-of-service as the property remains in limbo with the current owner attempting to sell it. The EBT is a National Historic Landmark. Not all Pennsylvania train rides are pulled by traditional steam or diesel locomotives. The Electric City Trolley Museum is based in Lackawanna County and aims to preserve eastern Pennsylvania's interurban heritage. In doing so it also hosts excursions, using restored trolley cars, along a section of the Lackawanna & Wyoming Valley's (The "Laurel Line") third-rail interurban right-of-way. Its operating season begins each May. The Everett Railroad offers both freight and passenger services on trackage in the Hollidaysburg area. Public excursions run from Hollidaysburg to Brookes Mill on a corridor which was originally owned by the Pennsylvania Railroad. Freight services operate on two segments; from Brooks Mill to Sproul, and the other, disconnected segment from Roaring Spring to Curryville via Martinsburg. The railroad's name is derived from a short line by the same name which operated from 1954 to 1982. The present company has been in service since 1984. Its operating schedule runs from March through October while holiday specials last through December. The Everett is popular for utilizing an operational steam locomotive, Middletown & New Jersey 2-6-0 #11, built by American Locomotive in 1920. This large, well-known museum, located in Philadelphia, has a wing dedicated to railroad history including a handful of rolling stock. One particular noteworthy piece is Baldwin Locomotive Works' 4-10-2 #60000, historically significant as the 60,000th locomotive the company manufactured. It was meant to turn the tide in favor of steam power over diesel, featuring many new technologies at the time, but ultimately was unsuccessful in this endeavor. This museum, located in Greenville, features a collection of rolling stock including Union Railroad 0-10-2 #604, a 1936 product of Baldwin. The museum is open from May through October and admission is free. This small museum, based in Harrisburg, is located within the former PRR interlocking tower built in 1929. The facility is owned and operated by the Harrisburg Chapter of the National Railway Historical Society. Inside you can view historic artifacts and displays as well as see how an interlocking tower functioned. It is also a good location to watch passing trains! This famous feat of engineering, located near Altoona, has been a marvel to witness since it first opened on February 15, 1854. A small museum/train watching area located near the base of the shoe first appeared in 1879 and has steadily grown ever since. To learn more please visit the Railroaders Memorial Museum's website. This museum is located inside the restored Lake Shore & Michigan Southern (NYC) depot at North East. The building itself houses several displays while outside the facility is a collection of rolling stock to peruse. The museum is open from April through October. The Lehigh Gorge Scenic Railway is based in Jim Thorpe, operating train rides from the restored former Lehigh Valley railroad station. The train itself is operated by the Reading & Northern, a regional freight railroad, covering about 16 miles (round-trip) following the Lehigh River, utilizing trackage once owned by both the LV and Jersey Central. This attraction is located on 31 acres in York and is home to a collection of historic buildings as well as the role short line Maryland & Pennsylvania Railroad (the "Ma & Pa") played in the region. They also host short excursion rides. For more information please visit their website. The Middletown & Hummelstown Railroad is a freight carrier which connects its namesake cities. Along with freight operations the M&H also offers train rides over 11 miles of its system, hosted from May through October. They also offer a number of special events throughout the year. Most trips are pulled by an operational steam locomotive, former Canadian National 2-6-0 #91! This facility is located in Strasburg near the Strasburg Railroad. The museum, open since 1977, features several large, operating train layouts in a variety of scales ranging from HO to S gauge. It is open on select days throughout the year. To learn more please visit their website. The New Hope & Ivyland Railroad is a very popular short line/tourist attraction located in east-central Pennsylvania. Today the NHRR operates roughly 16.5 miles with a connection to CSX Transportation at Ivyland. While the railroad does maintain freight service (which pays the bills!) it is best known for its steam locomotives and vintage railroad cars, carrying thousands of visitors annually. The Oil Creek & Titusville Railroad, based in Titusville, operates train rides on about 14 miles of track using a diesel locomotive for power. Along with their standard excursions the OC&T also hosts murder mystery dinner trains throughout the year. The Pennsylvania Trolley Museum, based in Washington, preserves the history of interurbans in western Pennsylvania. In doing so they operate a short stretch of track using vintage trolley cars between May and August. The Pioneer Tunnel Coal Mine & Steam Train, located in Ashland, serves a dual purpose of preserving Pennsylvania's rich mining heritage and offering guests a chance to experience what it was like to ride behind steam-powered trains. A historic 0-4-0T steam locomotive pulls retrofitted mine cars on about a 1-mile section of track. This museum is located inside the Pennsylvania Railroad's restored depot at Portage. It is operated by the Portage Area Historical Society and houses artifacts as well as an operating model layout. The facility is also not far from the Gallitzin Tunnels and Horseshoe Curve. 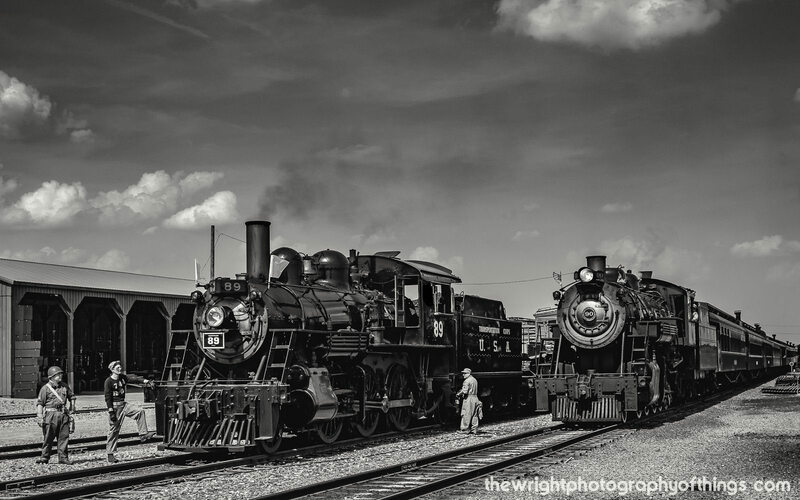 Located in East Strasburg next to the popular Strasburg Railroad, the state's official railroad museum features an impressive collection of rolling stock and noted locomotives, housed both indoors and outside. There are also numerous displays and exhibits to see. Most of the pieces relate to the state's rich history with trains. This one is well worth the visit! Located in section of the PRR's expansive repair and maintenance shops, locomotive construction facility, and test department in Altoona, the Railroaders Memorial Museum vividly highlights how railroads operated years ago. The complex is also not far from the fabled Horseshoe Curve. This museum is operated by the Reading Company Technical & Historical Society, which does a fine job keeping alive the memory of the fabled Reading Railroad. It is located in Hamburg and features a collection of displays and rolling stock. They are open most weekends throughout the year. Located in Shartlesville, this attraction was founded by Laurence Gieringer in 1899, a man who loved miniature models and architecture. Today, it features a very large village, served by a model railroad! The museum moved to its current location in 1953. The Rockhill Trolley Museum, based in Rockhill Furnace, is the state's oldest such museum which preserves the region's interurban history. In doing so they also operate a short stretch of trackage using one of their many operable trolley cars. This attraction is relatively new, founded in June, 2013. It currently hosts excursions on 9.2 miles of the former Pennsylvania Railroad's Northern Central Railway, which was once an important corridor linking Baltimore and Harrisburg. The operation is set in the Civil War period and its star attraction is 4-4-0 #17, the York, built by the Kloke Locomotive Works in 2013. To learn more please visit their website. The Steamtown National Historic Site is a railroad museum complex operated by the National Park Service in Scranton, Pennsylvania. Today, they feature a wide collection of historic equipment in their restored roundhouse and also offer guests short steam and diesel rides. 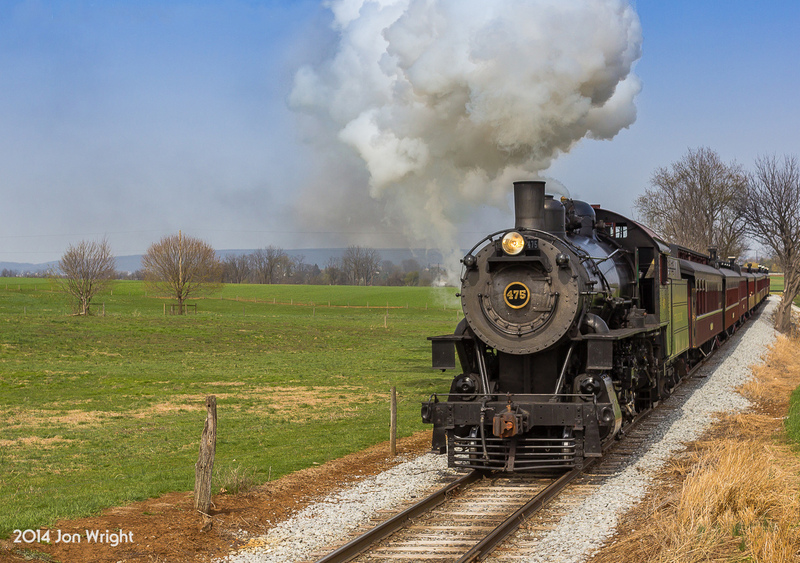 The most popular of all Pennsylvania train rides, hosting more than 400,000 riders annually, the Strasburg Railroad is located in the heart of Pennsylvania’s Amish community. It is also the country’s oldest railroad still in service dating back to 1832. It handles both freight and passengers but is also an operating history book featuring operating steam locomotives with restored, period passenger cars (dating to the 1800s). They provide guests everything from dinner train service to an open bar car for adults. The company also acts as an outside contractor, performing maintenance and repair work on cars and locomotives. The Tioga Central Railroad is another of Pennsylvania's most popular tourist train rides, operating on trackage which once belonged to the New York Central. Today, excursions operate on a section of the line, which travels through the beautiful rolling hills of north-central Pennsylvania, owned by freight carrier Wellsboro & Corning Railroad. Along with standard trips the TCRR also hosts numerous seasonal and special trains during their operating season. This museum is located near the famed Gallitzin Tunnels, another Pennsylvania Railroad engineering feat. Aside from the displays to peruse check out the restored PRR Class N5C caboose or simply watch the passing action of Norfolk Southern freight trains. To learn more please visit their website. The Wanamaker, Kempton & Southern Railroad is based in Kempton, in eastern Pennsylvania, operating a unique blend of steam and diesel locomotives. Along with their standard excursions the WK&S also offers chartered train rides. The West Chester Railroad offers train rides found very close to the greater Philadelphia region (about 36 miles from the city's downtown area). As a result, this tourist attraction is quite popular. It uses track once owned by the Pennsylvania Railroad, as remnants of the PRR remain everywhere here, including overhead as this particular corridor was once electrified and the catenary poles still stand today. The 90-minute train ride offers three stops at historic stations preserved and restored along the route (Westtown, Cheney, and Glen Mills).